OptiMA! 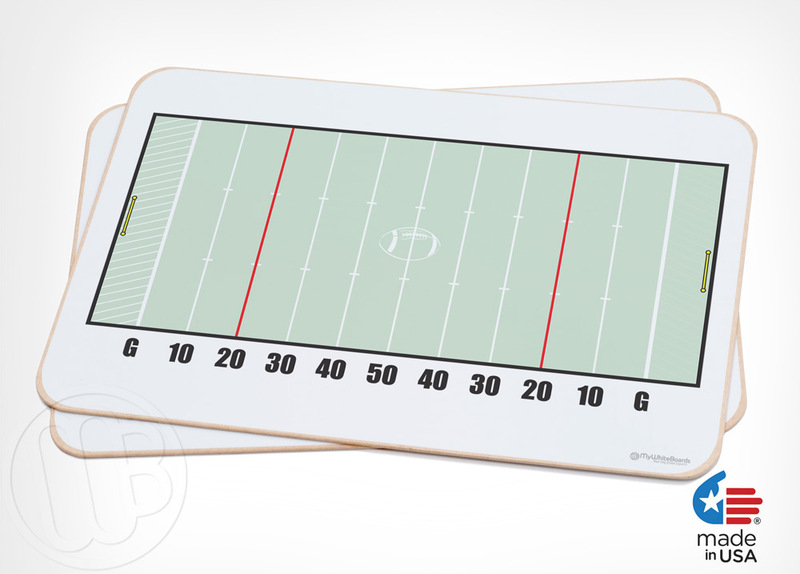 handheld double sided football dry erase lapboards are the perfect tool for coaches. 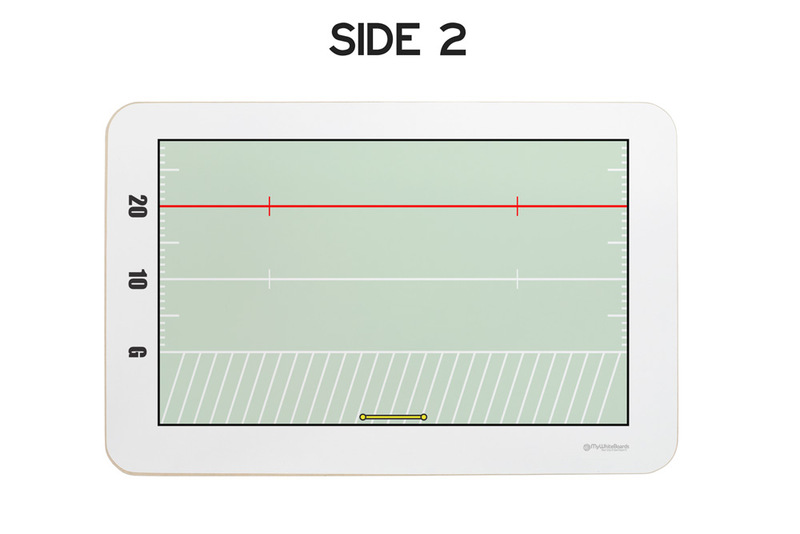 These are a larger 12" x 18" x 1/8" nonmagnetic dry erase board with two prints. 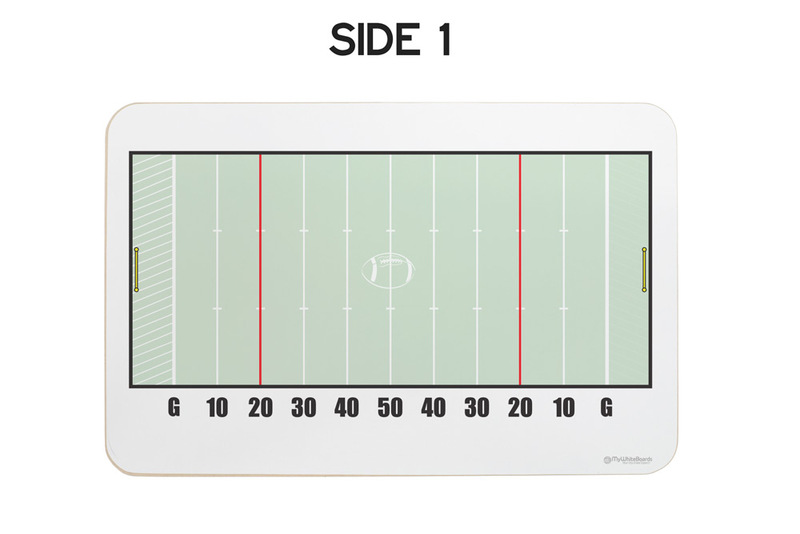 One side has a full football field image complete with red lines at the 20 yard line and goal post in the end zones. The other side is more of a close-up of the end zone end of the field to help explain plays, etc. 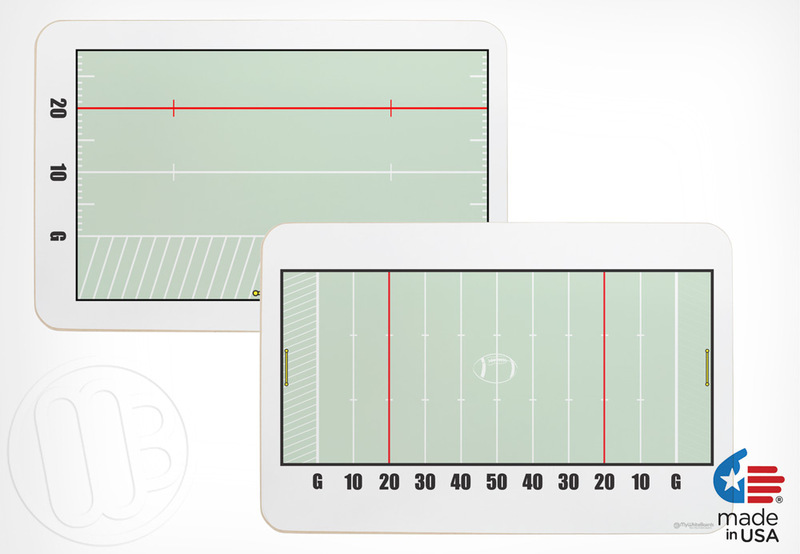 This gives coaches two boards in one and a great learning tool for the kids. Both images are made with the OptiPrint method so the prints will last a lifetime and work great for as long as you own your board. 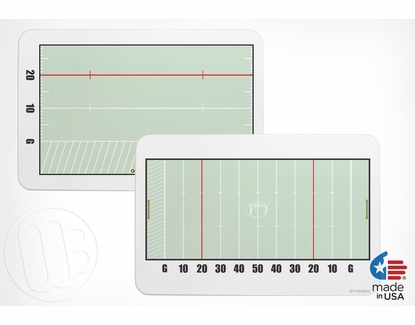 Our double sided coaching boards work extremely well with our Microfiber Dry Erase Cloths. Add one of our dry erase kits to your order and get the cleaning cloth and a set of 4 dry erase markers to go with it. 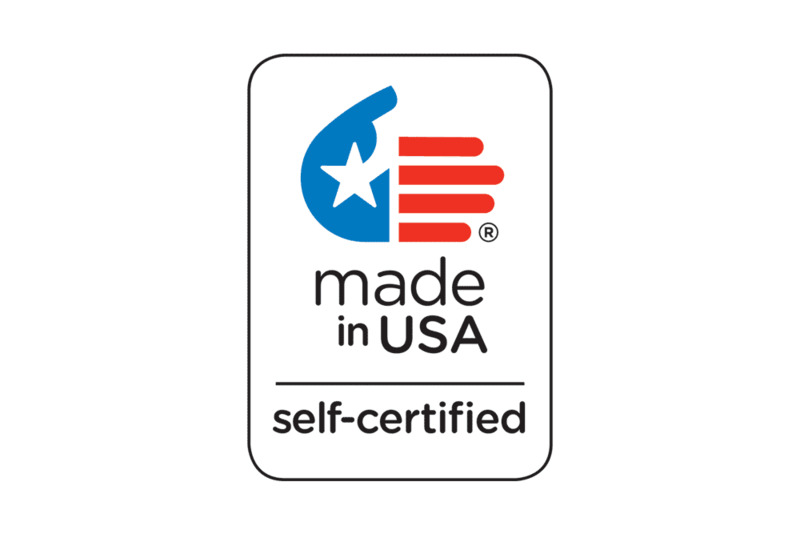 Overall Size: 12" x 18"
WARNING: This product can expose you to chemicals including wood dust and formaldehyde which are known to the State of California to cause cancer.